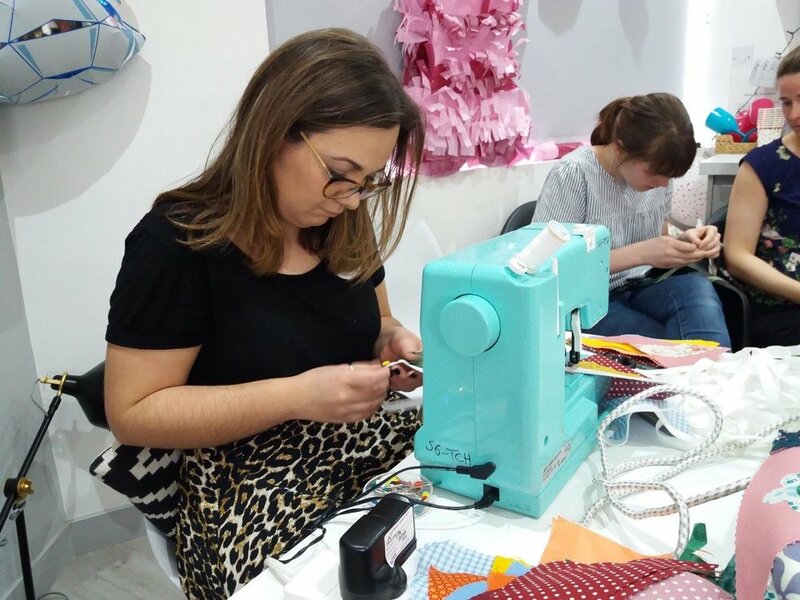 As a crafty hen party classic for over seven years, we can only guess just how much has been made in total at our mobile bunting making parties. But most importantly of all, each sting of bunting is completely unique. We tailor all the materials to perfectly co-ordinate to the wedding colour scheme, from sourcing the perfect printed fabrics to handpicking every matching button. Plus everyones embellishments and Mr & Mrs designs vary from one to the next. Discover more about our bunting making parties - available nationwide!